MISSION™TFO capacity 100 - 20,000 kW, designed pressure 10/13 bar. Thermal fluid design temperature 280-350°C. Vertical or horizontal execution. MISSION™EX capacity 100 - 5,000 kW, designed pressure 10/13 bar. 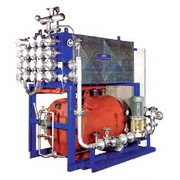 Thermal fluid design temperature 300°C. 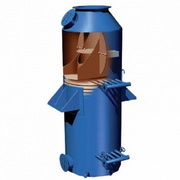 Integrated exhaust gas by-pass damper as an option (up to 80,000 kg/h exhaust gas flow).